Steel buildings are susceptible to problems caused by water condensation, therefore it is important to understand what’s the cause of these problems and the steps that can be taken to alleviate them. 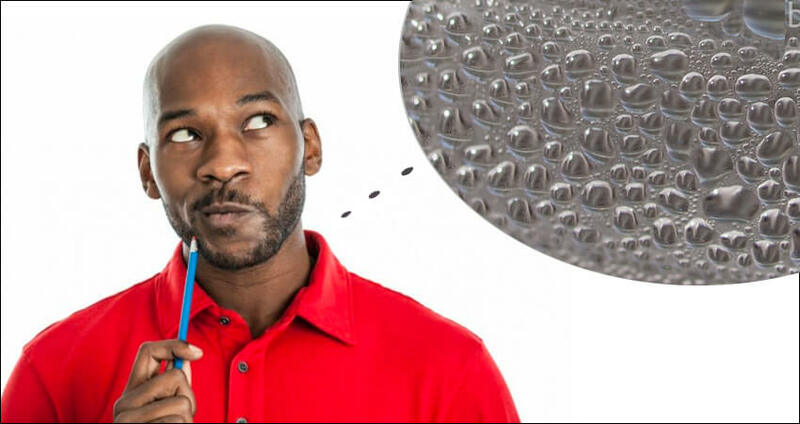 This guide will explain what condensation is, was causes it, and conclude with the best practices to prevent it from happening to avoid any damage to a metal building. Condensation occurs when warm moist air comes into contact with cooler air or a cooler surface. Warmer air can hold more moisture than cooler air. The temperature of air when it holds as much moisture as possible is called the dew point. When the temperature of the air drops below the dew point, it releases some of the moisture it contains. This water can collect on surfaces and be a source of drips in metal buildings. The moisture in the air can come from a variety of sources including people using the building, the HVAC system, roof leaks, lack of insulation, improper insulation, lack of or improper installation of a vapor retarder, and air leaks from outside. Warm moist air has a natural tendency to rise. If the air comes into contact with exposed surfaces that are cooler, such as the building walls, the roof-line, or struts, some of the moisture will collect on the surfaces. Condensation is more likely to be a problem in areas where the outside temperature is frequently below 35ºF for extended periods. Condensation may be visible on exposed surfaces or happen in places where it cannot be seen. Condensation that is concealed may cause significant damage and problems with mold therefore care should be taken in metal building construction to avoid creating this problem. Metal is an extremely good thermal conductor. This means that heat applied to one side of a metal surface will quickly pass to the other side, with very little interference. When one side has a temperature that is warmer, such as the interior of a metal building, the differential between the inside and outside temperature will cause condensation problems. Any moisture that naturally evaporates toward the ceiling of such a structure will condense on the metal surface and may start to drip. This moisture can cause corrosion. The walls and fasteners can become weakened by oxidation, which shortens the useful life of a metal building. Insulation that gets wet from condensation can cause additional problems. Fiberglass insulation does not perform well when it is wet. If moist, it may develop mildew and mold. If the insulation is wet and in contact with metal this increases the chance of corrosion. To avoid problems from condensation, it is important to properly install insulation by using a good quality insulation that has a vinyl backing. This helps to make sure that warm moist air does not have any chance to come into contact with a cooler metal surface. It is important that insulation used for metal buildings has a vapor-retarding component that has a low perm rating so that water will not permeate pass the vapor barrier. All joints and seams need to be completely sealed to make sure that moisture can not make the fiberglass wet. 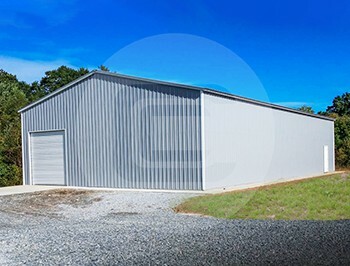 In metal buildings, the insulation needs to be completely continuous and cover all metal surfaces. Any exposed metal will cause problems. The best practices to prevent condensation problems in metal buildings include insulating them properly with the right type of insulation that has a strong vapor barrier. The goal is to reduce interior moisture and have a relative humidity below 50%. An interior humidity of about 30% is ideal and achievable. Things that help reduce moisture in the air include making sure the air can circulate by having proper ventilation and using a dehumidifier. Air circulation can be improved by using ceiling fans. Any heaters need to be vented to the outside. Ceiling vents can be used to help make sure the moist air can rise and then escape out the roof. Vapor barriers should be used on the warmer side of the insulation and in crawlspaces, and also placed around attic openings, ductwork, and lighting fixtures. Any skylights should be covered by a clear vapor barrier. When insulation is installed properly, it helps control heat loss and keeps all interior surface temperatures above the dew point so moisture does not collect on them. Control any moisture coming up from the concrete slab by using a vapor barrier. Make sure there is adequate drainage to divert any water away from the foundation. Condensation is a natural process that can be controlled by following the best practices we have outlined. In this way, corrosion is minimized, which increases the effective life of the metal building and mildew or mold is not allowed to develop.